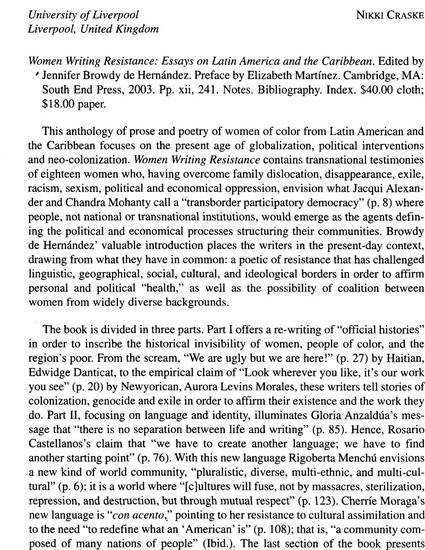 Women Writing Resistance: Essays on Latin America and the Caribbean. Edited by Jennifer Browdy de Hernández. Preface by Elizabeth Martínez. Cambridge, MA: South End Press, 2003. Pp. xii, 241. Notes. Bibliography. Index. $40.00 cloth; $18.00 paper.